VITAMIN A to spike wrinkles… Vitamin C to reverses sun damage… Vitamin E to regain baby-soft smoothness… AHAs for an at-home face peel… Liposomes to help other ingredients penetrate the skin…A balanced diet is the best way to ensure that your body is getting all the nutrients it needs to function correctly in addition to looking great. Here is a rundown on ingredients that are currently the lings of the beauty biz and on the substance or fluff in their claims. It has a modest effect – on fine lines, not on deep wrinkles. The chief benefits are seen in the fine lines around the eyes and the mouth after two to three months of use. Using the drug produces inflammation of the skin that could last from a fortnight to several months. That means a swollen, peeling face; the effects are worsened by exposure to the sun. In concentrations sufficient to produce an anti-aging benefit, the cream is likely to prove too harsh for sensitive skins. All users will need to apply a protective sunscreen since the drug makes skin more sensitive to the sun’s rays. The drug is expensive, and you’ll need to keep using it to maintain the improvement, if any, that occurs. To date, we do not know the long-term effects of the drug, or its safety and effectiveness in those aged over 50 or in those with “moderately or heavily pigmented skin”. We also do not know how much Retin-A is absorbed through the skin; and, since high doses of vitamin A can cause birth defects, pregnant women – or those planning a pregnancy – should avoid the drug. By Ortho’s own admission, some patients treated with Renova for 48 weeks showed “atypical changes” in their skin, though the significance of these changes is not yet known. 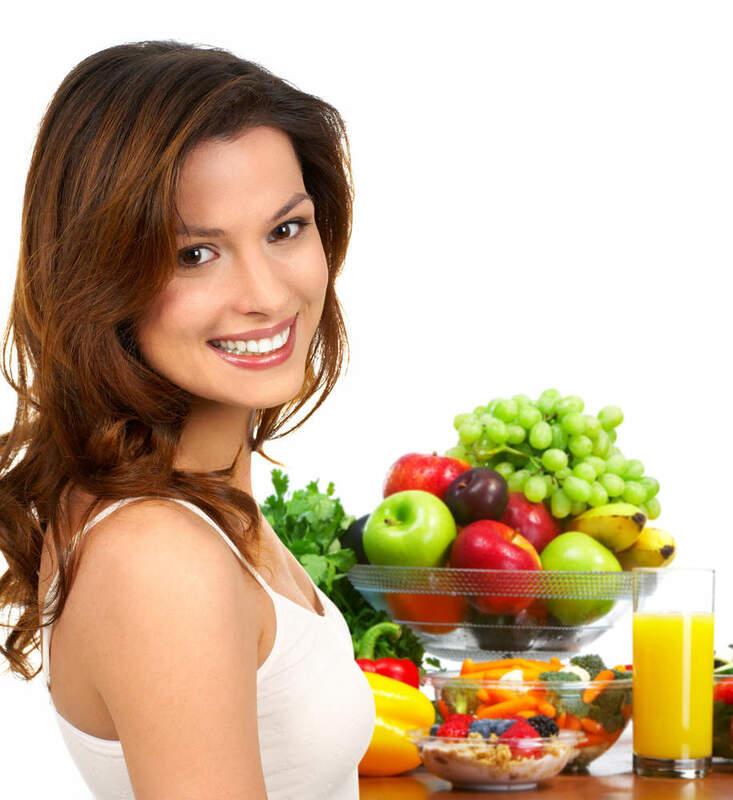 Natural Sources: Green leafy vegetables, melon, squash, yams, tomatoes, fish-liver oils. Vitamin C is deposited in the skin and is an essential part of the anti-oxidant brigade to protect skin against free radical assault from the atmosphere and from ultra violet light. Vitamin C plays a very important in converting inactivated vitamin E back into an active anti-oxidant form of vitamin E. This is probably the reason why vitamin C has such an important role to play in the protection of cellular membranes even though it is a water soluble product while cellular membranes are mainly composed of lipid molecules. Role in photo aging – Vitamin C plays a potent role in diminishing the effects of free radical damage and in this role can be quite effective as a protectant from ultra violet light damage. The advantage of vitamin C over a sunscreen is that vitamin C can be absorbed into the cells and is generally still present about 30-36 hours after it has been applied topically to the skin. It continues to give sun protection even though the subject may have washed their skin or gone swimming. As a result of this we can expect that vitamin C can slow down photoageing. Reducing wrinkle visibility – Vitamin C plays an essential part in the incorporation of proline into collagen and is also involved in the formation of elastin. 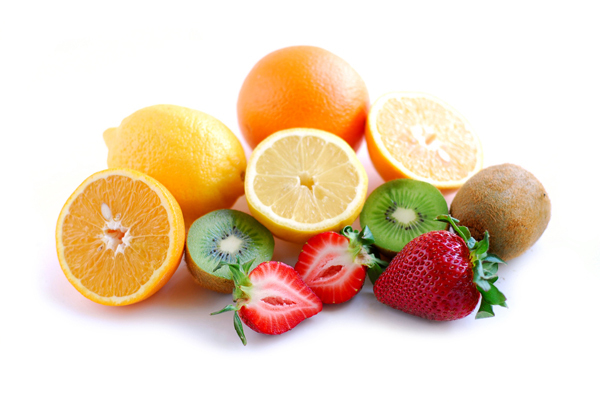 With a deficiency of vitamin C impaired collagen is created and the skin can become more wrinkled. The replacement of vitamin C boosts the manufacture collagen and so wrinkles can become less noticeable after using vitamin C.
Reducing pigmentation – Vitamin C effects pigmentation in two ways: The creation of melanin is an oxidative process and so a powerful antioxidant like vitamin C could counteract the oxidative process required to create melanin. Ascorbic acid also has a role to play as an inhibitor tyrosinase. Tyrosinase is essential for the formation of melanin, so if it is inhibited then the action of pigmentation is reduced. Scarring – vitamin C when delivered in high dosage to the skin leads to more collagen formation and normal collagen that is often found tethering scars is replaced with normal collagen and the scars fill up to a degree and become less noticeable. This process seems to be best effected with the use of iontophoresis. Enclosed is a photograph to show the numerous effects of vitamin C when iontophoresed onto a patient with severe chicken pox scars. You will notice that after a period of 24 treatments of iontophoresis of vitamin C the skin looks smoother, the pigmentation has been reduced and the scars are flatter. All fresh fruits and vegetables. Rich Sources include : rose hips, citrus, strawberries, apples, guavas, cabbage, tomatoes, turnip greens, green bell peppers. Cells in the body divide a set number of times; then they die and are replaced by new cells. With age, this process slows, and a progressive deterioration of all body systems begins. Though some of this decline is normal and inevitable, many researchers believe that unstable molecular species called free radicals accelerate the process, making us old before our time. Vitamin E’s primary role appears to be as an antioxidant. In this role, vitamin E protects fatty acids (oils) against oxidation and rancidity. This role grows in importance when you realize that all the cells and sub cellular membranes of the body contain a sizeable portion of fatty acids which require such protection against oxidation. These fatty acids (usually polyunsaturated) serve vital roles in the cells, and scientists believe oxidation of them causes not only many diseases but some of the symptoms of aging as well. A handful of studies shows that Vitamin E also acts as a mild sunscreen, comparable to an SPF (sun protection factor) of 3. Cooking does not normally destroy significant amounts of vitamin E. Frying, however, especially in deep fat, can cause most of the vitamin E to be oxidized. Storage for long periods can destroy vitamin E, too. Vitamin E supplements are available in doses ranging from a few IU to more than 1000 IU. Supporters of vitamin E as a skin-care ingredient believe that it can do for the skin what it does inside the body: seek out and neutralise the effect of free radicals. The rejuvenators that have given vitamins, liposomes, nanospheres and herbal extracts a clear run for the big bucks in the anti-aging derby in recent years are alpha-hydroxy acids. Like a synthetic vitamin-A (Renova, for instance), AHAs work in part by sloughing off the dry, flaky, dead cells that accumulate on the surface of the skin and are shed at a much slower rate with advancing age. But there is also intriguing evidence that, in higher concentrations, these acids increase collagen production and plump up the deeper layers of the epidermis. The acids, which are the active ingredients in these creams, were originally derived from fruits (eg. tomatoes), sugar-cane (glycolic acid) and milk (lactic acid). They have an “exfoliant” effect that is, they act as facial scrubs or peels, helping to shed dead skin cells and promote renewal. In fact, they were used by dermatologists for several years in face peels – sometimes producing severe irritation. Glycolic acid is still used in the “gentler” face peels. Vitamin K has a role in diminishing the healing time of bruises, both related to trauma, sun, and cosmetic procedures. There appears to be a role in vitamin K in helping to diminish the ruddiness on ones complexion. Moisturizers, by helping to plump up skin, will temporarily make wrinkles less noticeable. Injections of collagen/your own fat will similarly “fill out” lines, minimizing them. Collagen is the support structure that gives our skin a firm, young appearance. When levels remain plentiful our skin looks young and fresh. When levels decline, we lose that support and wrinkles begin to form. While collagen injections can temporarily put back some of what we lose, some researchers believe that topically applying the peptides might have a similar effect – without the needle. A face-lift will literally snip away some of the wrinkles (Gone with the excess skin that’s cut away.) and, by stretching the remaining skin up and away from the face, will smooth out its appearance.